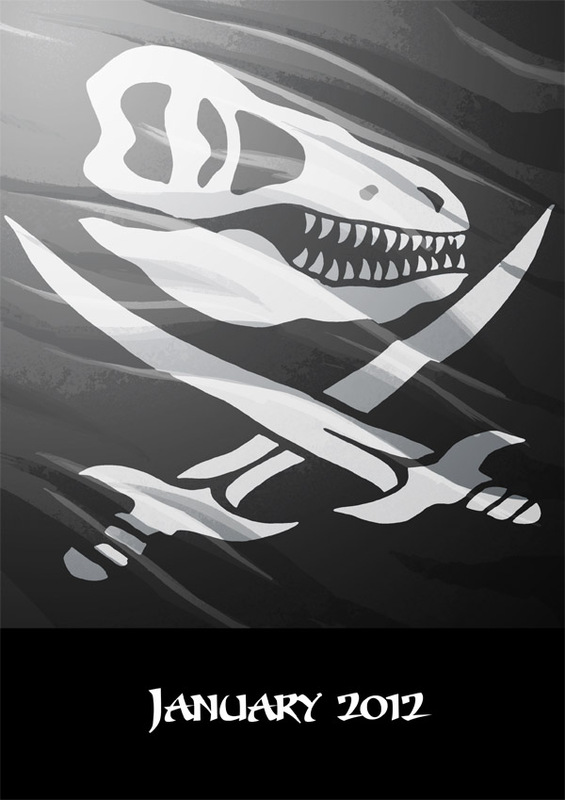 I am delighted and thrilled to be able to announce the project I'm currently working on: The Pirates of Pangaea! 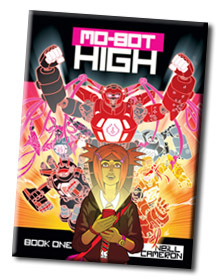 It is a ludicrously exciting new comic by Daniel Hartwell and myself that will be appearing in The Phoenix, a new children's story-comic launching in January 2012. Want more? Check out this THRILLING TEASER! Pirates of Pangaea from thephoenixcomic on Vimeo. I won't say much else for now, as it would rather seem to defeat the point of the whole 'teaser' thing if I then went on to tell you all about it. Suffice to say, I'm really, really, really excited, and having so much fun, and I think you guys are going to like this. 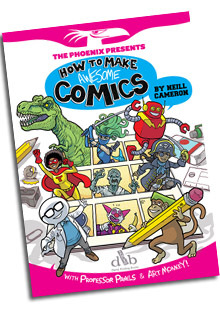 Be sure to sign up to the Phoenix newsletter for loads more exciting announcements and news as we head towards the launch! 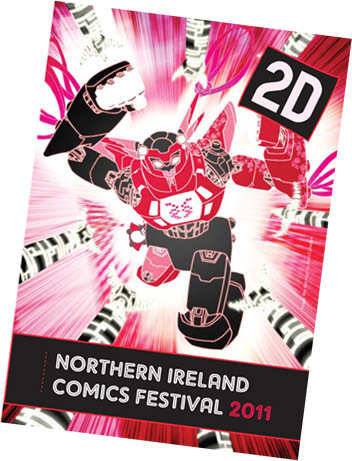 I spent last weekend at 2D, the Northern Ireland Comics Festival in Derry. And very fun it was too. 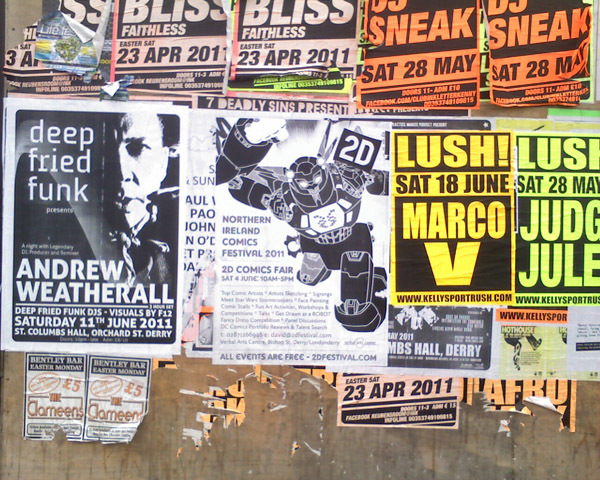 Apart from anything else, it was lovely to see my Mo-Bots on posters for the event all over Derry, on walls and bus shelters (as in the above). Very exciting! I've never seen my art on a bus shelter before. (Well not that I didn't draw there myself in marker pen. No wait, I didn't say that). 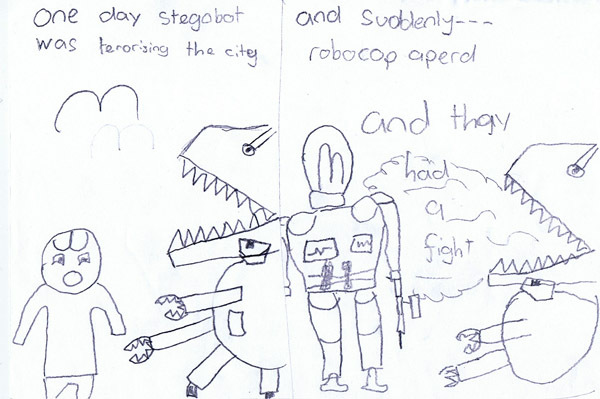 An excerpt from the epic comic sage STEGOBOT VS ROBOCOP, sadly unattributed. If you drew this please get in touch! 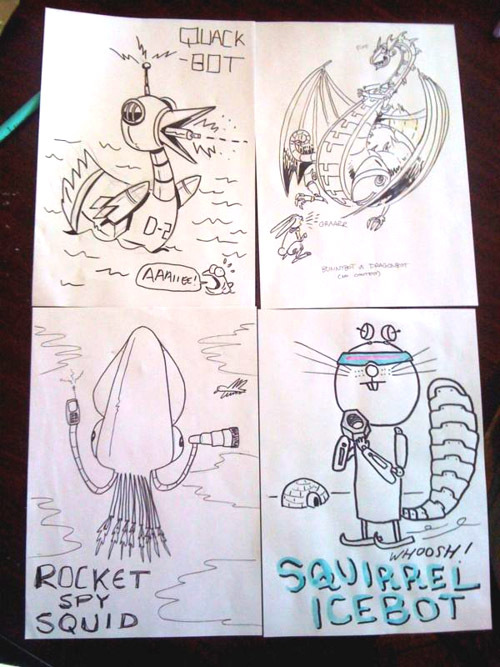 Clockwise from top left: Quack-Bot by Gary Northfield, Bunny-Bot VS Dragon-Bot by Matt Brooker / D'israeli, Squirrel Ice-Bot by Jim Medway, and the character find of 2011: Rocket Spy Squid Bot by Lauren O'Farrell. Photo nicked from Lauren's Tumblr! Those last four, I dunno, I think they might have had some practise at drawing before. Lovely chaps all, anyway, and really great to get a chance to hang out with them and gab about comics and doing workshops and stuff. And, mostly, to listen to Gary and Jim make up monkey jokes for 11 straight hours: an unadvertised highlight of the 2D Festival, frankly. 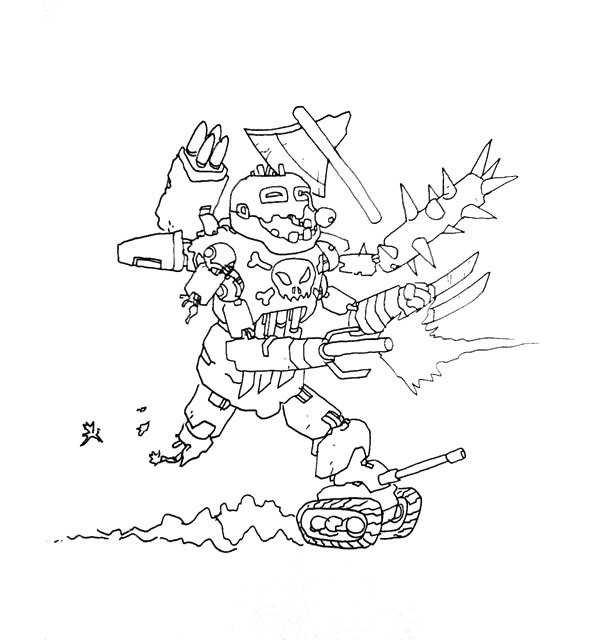 That is: a Zombie-Bot with One Arm Covered in Spikes, One Arm That Is a Laser Cannon, One Arm That Has Like Wolverine Claws, One Arm Hanging Off, Rocket Launchers, A Scary Skull On His Chest, An Axe Stuck In His Head And a Tank For a Foot. It was quite a specific request. That is by Lochlainn Kelly, who let me read his comic about zombies and drug addicts which was frankly one of the most awesome and hilarious things I've seen in ages. 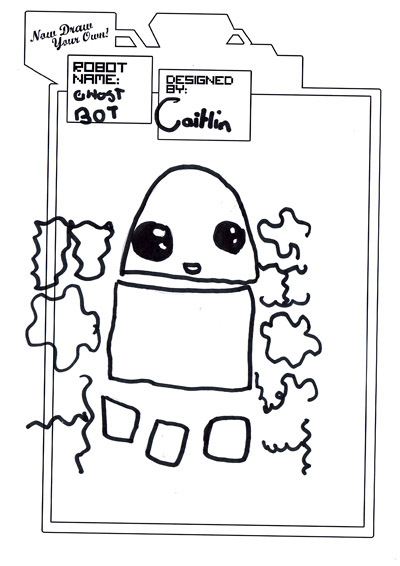 I think he's captured my likeness rather well. And look, he even got his deviantArt page URL in at the bottom. The kid's a pro! Huge thanks to the festival organisers, David Campbell in particular, for inviting me over and for looking after me so magnificently while I was there. I love Derry, and it was a lovely opportunity to catch up with some old friends AND go to a funky awesome friendly informal comics festival all at the same time. Big win. Here is the latest entry in the A-Z of Awesome Japan, a series of 26 drawings I am doing to celebrate things I love about Japan. You can see the full set so far here. Some people have been kind enough to sponsor me in this endeavour, with proceeds going to the Japan Earthquake and Tsunami relief fund. If you would like to so too, well god bless you. You can do so here. 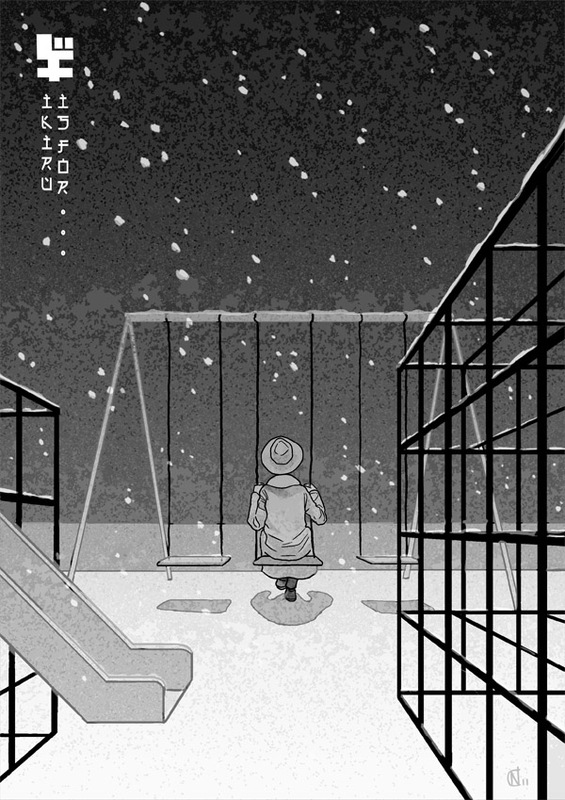 Ikiru is a 1952 film by Akira Kurosawa which tells the story of a painfully repressed and boring middle-aged government bureacrat who learns that he has stomach cancer and only a short time to live. I know, sounds like a laugh riot. But it's simply astonishing. I'd like to write a long piece about how much I loved this film and all the beautiful, hilarious, awkward, heartbreaking and uplifting moments and images it contains, but I'm a bit pushed for time so I'll simply advise you in the strongest possible terms to go and see it. Seriously, go and see it. 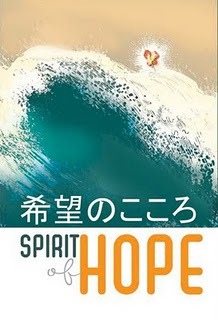 While I'm here: available to pre-order now is The Spirit of Hope, a comic containing work by loads of top creators, from which all proceeds will go towards charities supporting victims of the disaster in Japan. Read all about it here! 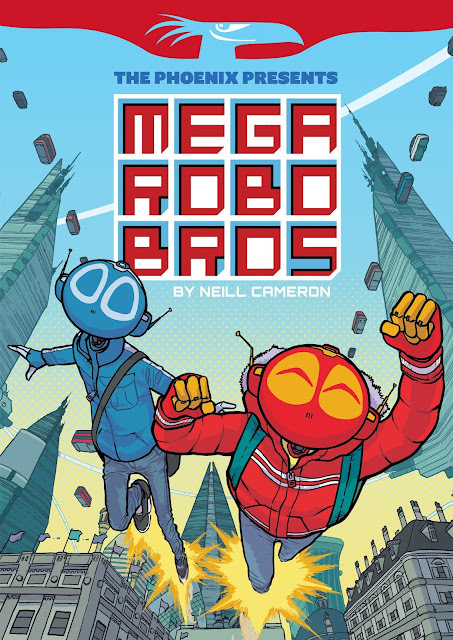 I'm very sorry not to be in it myself - I was away the week stuff needed to be in for it, unfortunately - but the list of creators is extraordinary and the few peeks I've seen of work in it are really rather fantastic. So, y'know. Get on that. Right, must dash! 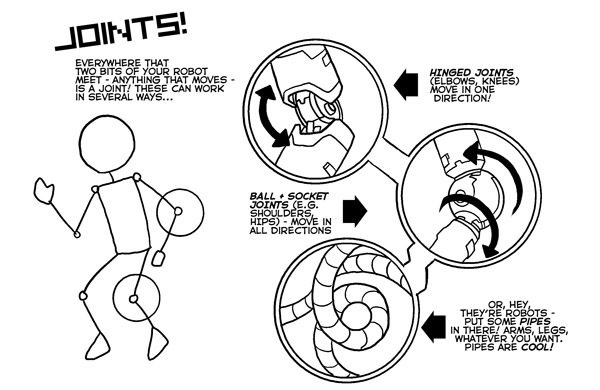 Off to 2D today to spend the next couple of days teaching children how to draw robots and such. Hopefully see some of you there!